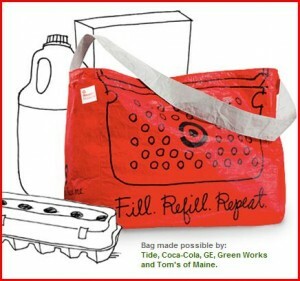 I just read that Target will be giving away 1,000,000 FREE reusable tote bags with purchase on Sunday April 17 in honor of Earth Day. Get yours while supplies last. I remember last year my store was out of FREE bags by mid afternoon.